Karl Goethert and Elena Colman got to know each other as farmhands on the historic Brigham Farm in Concord, Massachusetts. Neither came from farming backgrounds, but found that the work suited them well. In 2011, they decided to branch out. Brigham Farm agreed to rent out a portion of their land so Karl and Elena could dabble in growing lettuce, carrots and radishes, and Crooked Row Fields was born. Their business continued to grow and they sold their produce through the same markets that Brigham Farm attended, and at the Brigham farm stand. Karl had an idea how to grow vegetables, but wanted to gain some solid skills in business planning. He signed up for New Entry’s Farm Business Planning course. He says that he understood most of the course’s concepts, but until going through the class, hadn’t understood how to wrap it all up into a workable business plan. The biggest benefit he took away after graduating from the course in January 2011 was that it allowed him to write a business proposal for which he was awarded a grant that provided enough funding to get their business started for the 2011 season. Karl and Elena find that they learn best “on the fly,” and their business strategy changes a little bit each year. Their operation has expanded to a mixed variety of specialty crops and cut flowers. Originally, their sales were entirely through Brigham’s markets and farm stand. In 2013, they began growing their customer base at other farmers markets and for the first time offered a fall CSA of root vegetables and winter-storage crops. The following year, they added a spring season CSA to the mix. They’ve found that offering CSA shares in the spring and fall has helped them carve out a niche: their spring CSA ends just as other farms begin to deliver summer shares, and their fall CSA captures customers who want to continue getting veggies after the summer crops taper off. This year, their produce will go exclusively to their CSA subscribers, and they plan to offer a summer share to their members for the first time. When asked what advice they’d give to fellow New Entry graduates or other farmers just starting out, Karl says, “everyone tells young farmers that a really strong crop plan is a good thing to have – and that’s true – but it’s also good to have a really strong financial plan!” Learning how to do your own taxes, create a workable budget, and pay your employees, and market yourself are things you don’t necessarily think about at first. Karl and Elena say they feel really lucky to be able to rent land and equipment from the Brigham family, but someday they’d like to own their own property. They acknowledge, however, the difficulty in leaving the customers they’ve cultivated in and around Concord. Another piece of advice they’d give to beginning farmers, and something they’ve considered at length, is the need for young farmers to work at a number of different farms – including farms that are still establishing themselves. Their experience working for an historic homestead, while valuable, did not teach them what it’s like to build an operation from scratch. “When you get a long-term lease, it’s going to be a farm in disrepair – that’s what you’re able to afford! – so learning how to build something from the ground up rather than having systems already in place, I think, is really valuable,” Elena reasons. For now, they’ll continue to rent land while they fine-tune their long-term plans for transition. 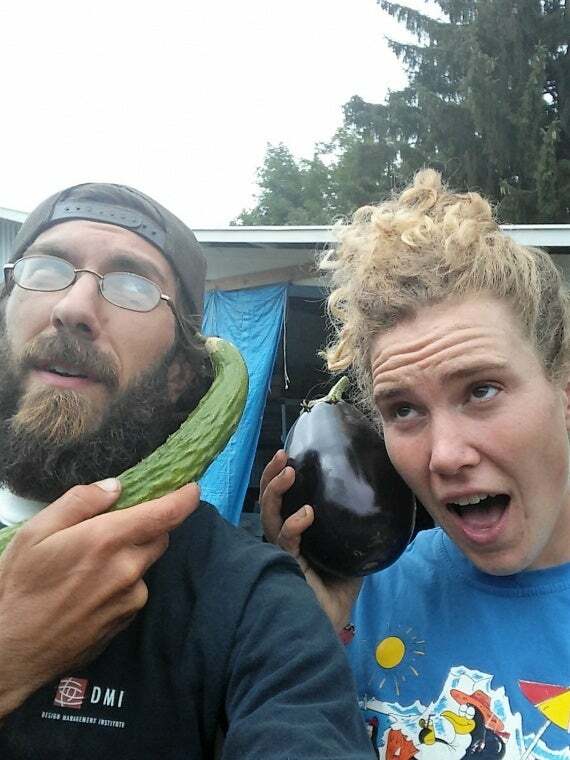 One of Karl and Elena’s favorite things about living in Massachusetts is how many resources are available to beginning farmers. They appreciate the many technical workshops New Entry offers, and it’s given them a chance to meet people with specialized skills who have generously shared their knowledge. Learning from fellow farmers and the staff at New Entry has helped them become better at what they love to do: working the land and growing beautiful vegetables. You can find them most any day, with dirt on their hands, in their fields (they’re the ones with crooked rows).